. :: THE HORSE FROM ARABIA TO ROYAL ASCOT ::. A STUNNING, ELEGANT AND SWEEPING DISPLAY OF THE EVOLUTION OF THE THOROUGHBRED FROM ITS ARABIAN ORIGINS. To celebrate the Diamond Jubilee of HM Queen Elizabeth II and auspiciously coinciding with the Summer Olympics in London, the remarkable exhibition “The Horse: from Arabia to Royal Ascot” was presented at the British Museum this summer and early fall. 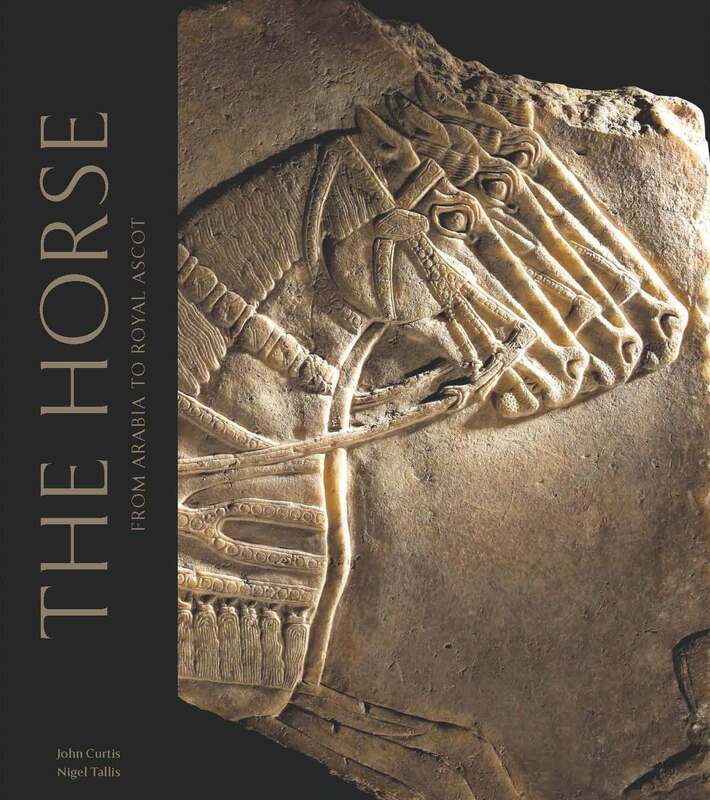 An extraordinarily refined and comprehensive depiction of the Arabian horse through the ages, from prehistoric rock paintings, Assyrian ceramics, and ancient Egyptian tomb renderings, to 18th century oil paintings of British racehorse legends and souvenirs of Ascot races past, as well as historically important and beautiful pieces of tack, equipment and trappings, this exhibit, sponsored chiefly by the Saudi Equestrian Fund, chaired by HRH Prince Faissal ibn Abdullah ibn Muhammad Al-Saud, was an event not-to-be-missed and an event long-to-be-remembered. The theme of this exhibit, “From Arabia to Royal Ascot”, runs a thread through history from the appearance of the horse as a domesticated animal in the Arabian Peninsula in the second century BC (and perhaps, according to recent research, as early as the fourth century BC evidenced by discoveries of rock art of horses and hunting scenes at Uqulah and Al-Sinyam, Saudi Arabia) to the model racing Thoroughbred of today. That thread is the development of the desert Arabian horse into the British horse bred for speed. While plans were well advanced to enhance the native British and Irish breeds by the introduction of Arabian bloodlines in the 17th century, the pedigree of all modern Thoroughbreds is traced to three Arabian foundation stallions standing in the 18th century, Byerley Turk, the Darley Arabian, and the Godolphin Arabian. Such an exhibit would not be complete without reference made to the important contribution of Wilfred and Lady Ann Blunt and their Crabbet Stud in the introduction and efforts to maintain the purity of the Arabian horse in the 19th century. The exhibition was both rich and varied as well as very informative without being dry or too academic and included several entertaining interactive displays which actively engaged the eager attendees, such as an amazing display of ancient rock art depicting men, horses and hunting scenes from the recent Saudi Arabian discoveries just mentioned, which played across the wall of the hall at the touch of a finger, providing greater detail and information as may be needed. High tech for pre-historic art! And a little personal video of Her Majesty as a happy and excited young princess at Ascot before her ascension. The accompanying catalogue and book by chief curators John Curtis and Nigel Tallis stands truly on its own for its background, historical context, and beautiful display and will be a welcomed and oft-reviewed part of our collection at home.